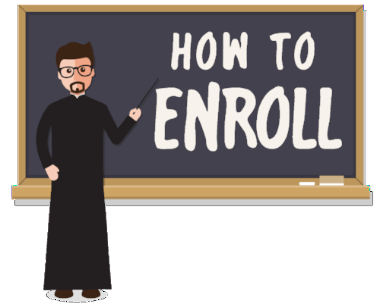 As we are now open for enrollment, I wanted to give a short walk-through of how to do exactly that. If you have not completed your application, let us know if you need help. We have somethings planned for students this summer, and we want you to be able to take advantage of them all! Online activities have, in many cases, taken a turn for the worse. We want to deliver the best online, most practical Orthodox theological instruction available TO YOU. We want being online to have some value towards holiness, and towards spiritual development. That’s what we are working hard for. So that you can likewise pass it on to others, whom you will teach, preach to, and serve. First, as you have a Populi account now (our online campus), log into your student account. Easy! 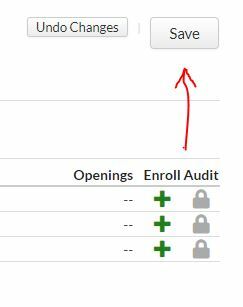 Click on the Green + of the courses you wish to enroll in. It is directly above the Green “+“s that you have been selecting from. That’s it! You’re enrolled in courses for Fall of this year. An invoice will be generated shortly for you, and you can begin paying your tuition now. If you are eligible, your tuition will be adjusted for your discounts. Again, if you haven’t completed your Application, or if you need help or have questions, we are here to help. Do not hesitate to reach out to us.